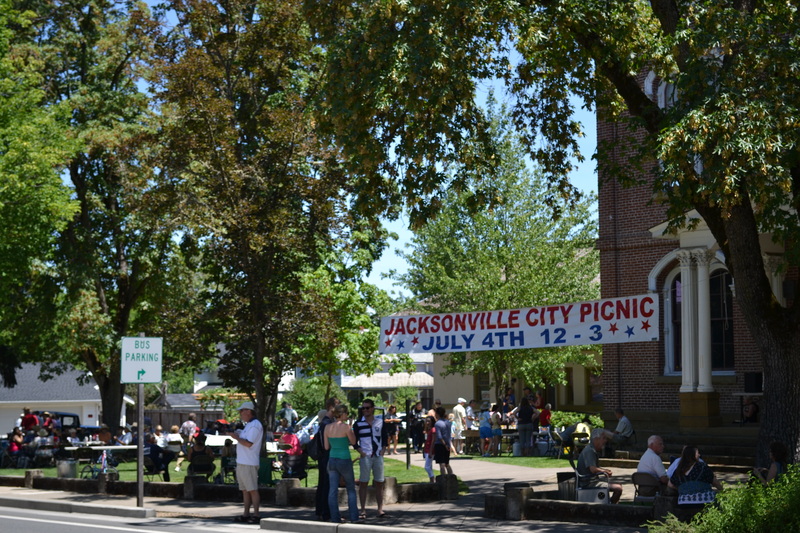 We celebrated the 4th July in Jacksonville which was the first town to be named a National Historic Landmark. 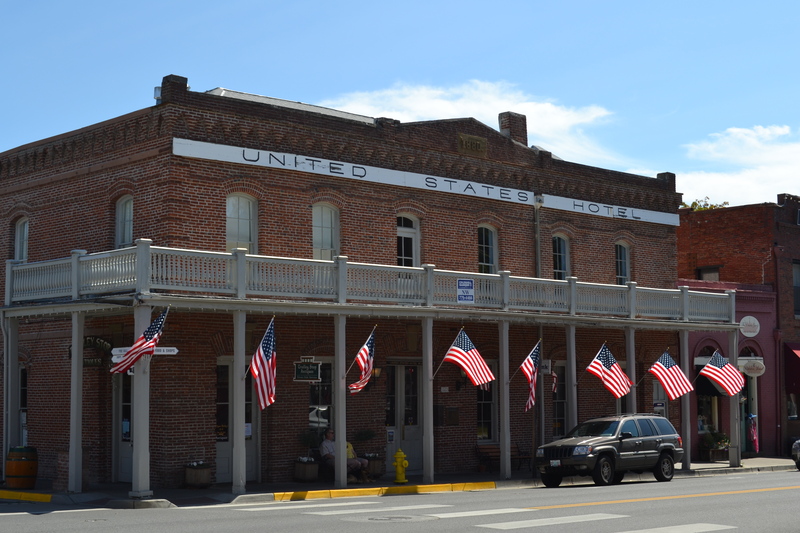 Jacksonville was established in 1851 and the most of the buildings in their main street were built that decade. 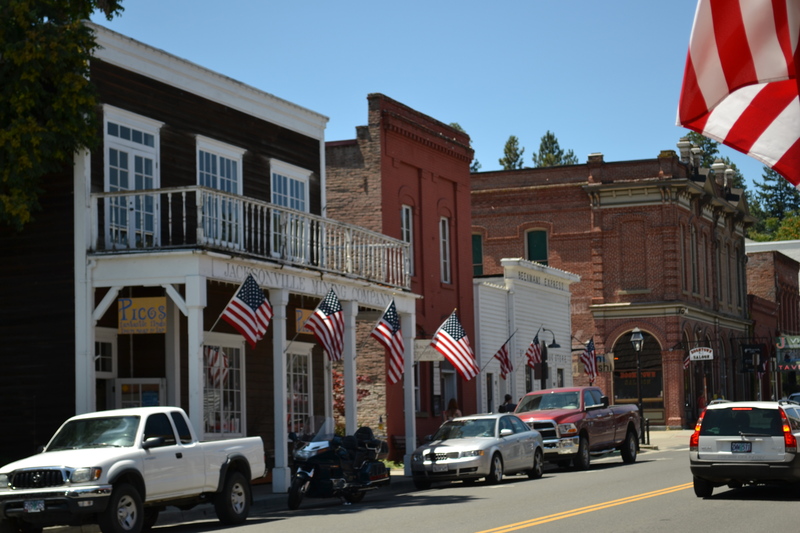 In 1859 it was the largest town in Oregon with a population of 10,000. Today the 2,800 people who live their do a great job at maintaining it’s mid 19th century beginnings. 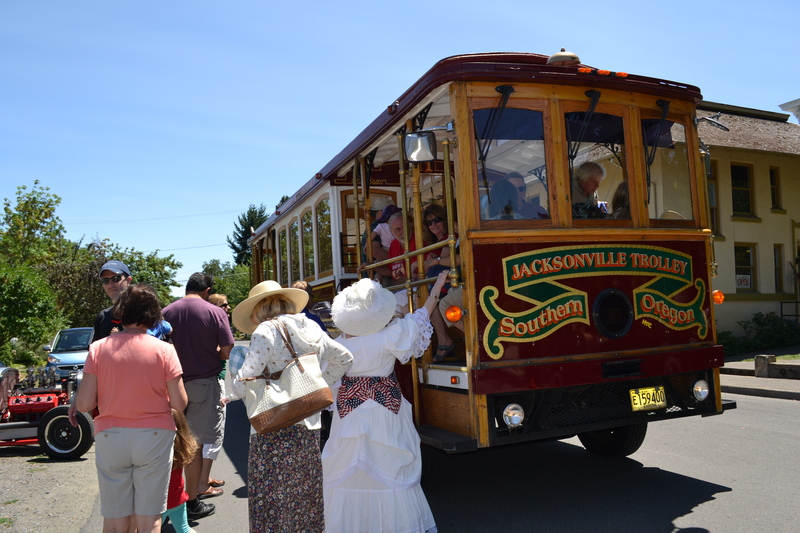 We toured the town on the Jacksonville Trolley and learnt a bit about it’s history and the mix of people from all over the world who came their for the gold rush. Then we joined the locals at their 4th July picnic in front of the courthouse. 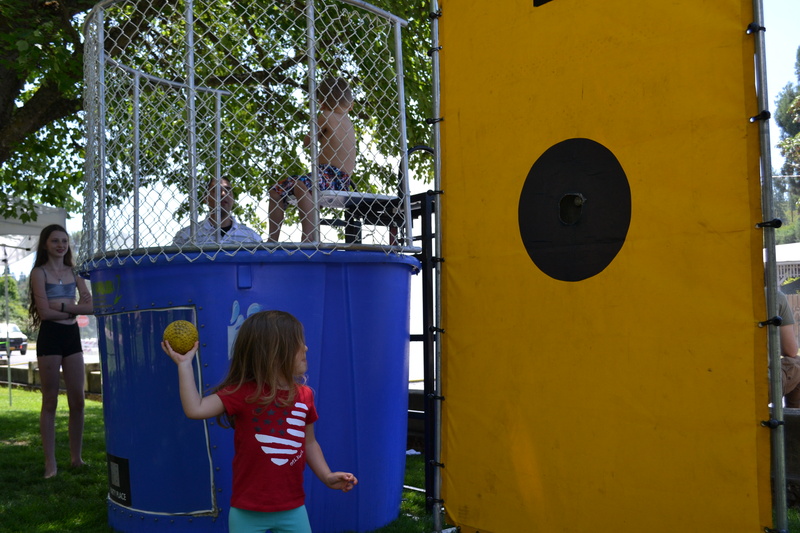 That was a lot of fun, especially the dunk tank and watermelon. We made new friends and enjoyed the BBQ put on by the council. This entry was posted on July 4, 2013 at 7:06 pm and is filed under Oregon State. You can follow any responses to this entry through the RSS 2.0 feed. You can leave a response, or trackback from your own site. 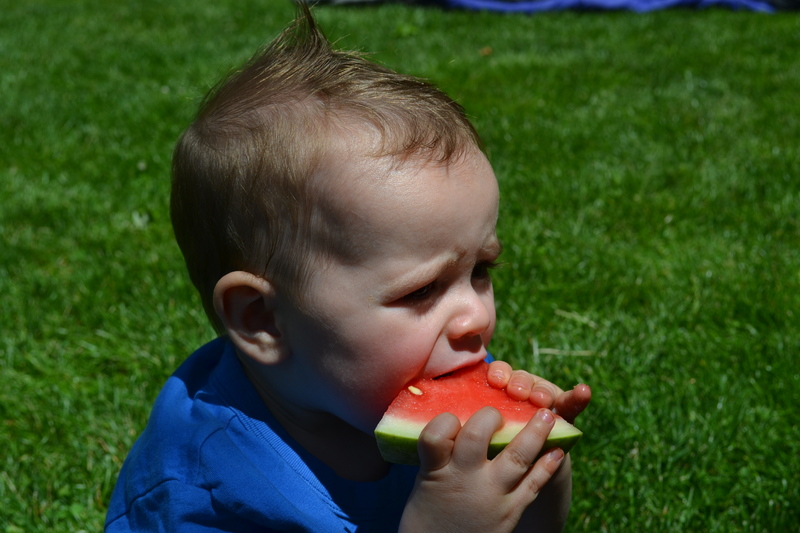 You just wrap those jaws round that watermelon, Rafa! Have an extra bite for us! It was really good! 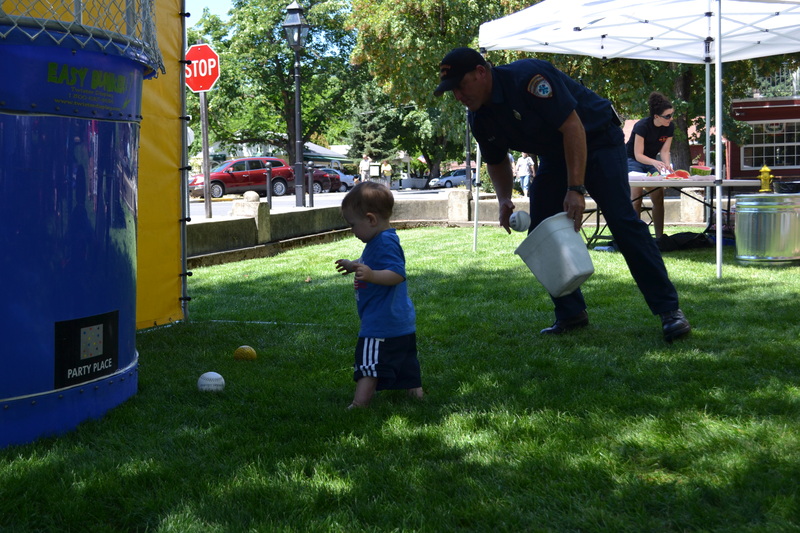 And stopped me from stealing the balls from the bucket for the dunk tank. Happy 4th July to all Americans! Jacksonville seems like just the right place to be to celebrate. Absolutely! I wonder where we will be next year?! How fun. And a lovely portrait of you all. 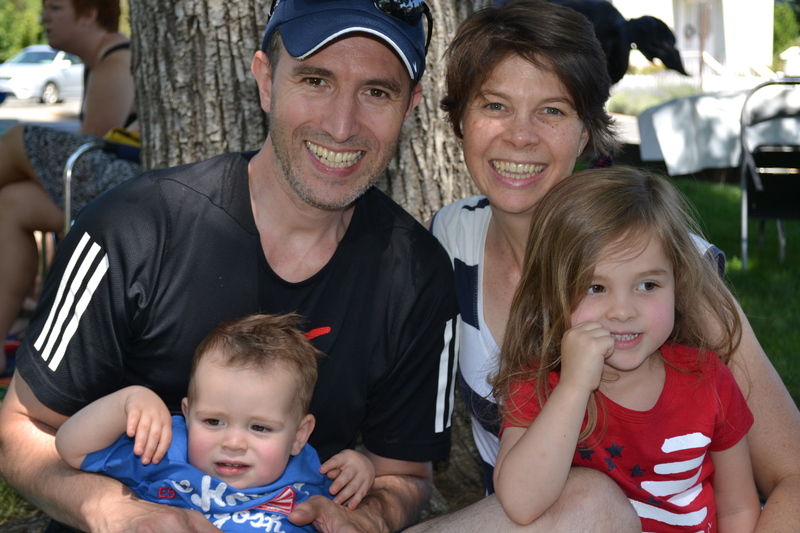 We don’t get many family shots because Mum is always on the other side of the camera! The town’s archivist offered to take this one for us.